For over forty years the truth about the assassination of President John F. Kennedy has been obscured. Now Vincent Bugliosi, author of the biggest selling true-crime book of all time, finally releases us from a crippling distortion of American history. 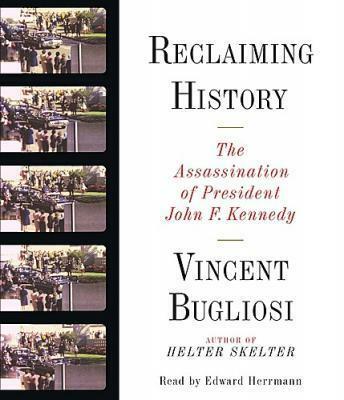 Twenty years in the making, Reclaiming History resolves, beyond any reasonable doubt, every lingering question surrounding the Kennedy Assassination. Bugliosi confronts and destroys the theories that have grown up since the assassination, revealing their selective use of evidence, flawed logic, and outright deceptions. Providing a powerful and unprecedented narrative of events and a biography of the assassin, he confirms the oft-challenged findings of the Warren Commission -- Lee Harvey Oswald, acting alone, shot and killed President John F. Kennedy -- and exposes every conspiracy theory as a fraud on the American public. A narrative compendium of fact, forensic evidence, reexamination of key witnesses and common sense, Reclaiming History surpasses all other books on the subject. With his irresistible logic, command of the evidence, and startling inferences, Bugliosi draws on his legendary skills as a prosecutor to shed fresh and definitive light on this long American nightmare.